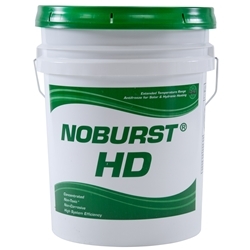 NOBURST HD is a non-toxic concentrated antifreeze and heat transfer fluid. The product is to be used in place of water and other water-like fluids in systems where freezing may either cause damage or interfere with the functioning of systems or equipment and/or toxicity to humans or animals is a concern. NOBURST HD is safe for use when there is a possibility of contact with potable water.